Onward to a 4-day weekend! This weekend is Anime Central. I've been interested in attending this convention for a few years, as it is one of the larger anime conventions in the country. We've been gone on a long weekend at least once a month for the last several months, however, and we're getting a little exhausted. 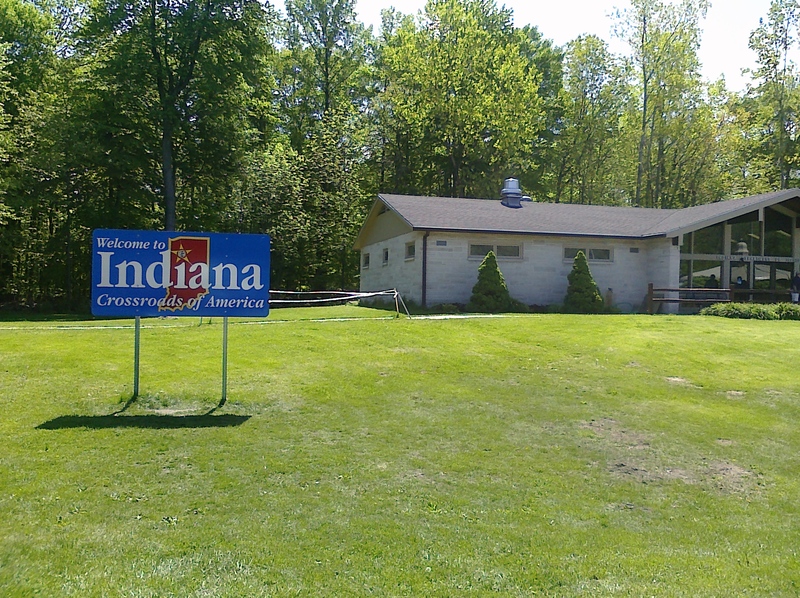 We had this trip planned before the engagement or choosing the wedding date, and in retrospect had I anticipated getting married in June, I probably would have skipped booking this trip until next year. After getting caught in mid-afternoon traffic through Chicago (which had an interesting bit of fog hanging around downtown), we arrived at the hotel and convention center a little after 3pm local time. The hotel had already sold out all of the parking it had available, so we had to park several blocks away and hike over with our luggage. Luckily the offsite parking was cheaper so it worked out for the best. Next was checking in. Hyatt offers express check-in through a web portal. It's like the airline check-in but for hotels. So I gave them the estimated arrival time and they emailed while we were on the way to let me know the room was available. Checking in was super easy as well. I just walked up to a kiosk, had it scan the printout of the check-in, and the machine popped out a receipt and room key. As a result, I didn't have to wait in the long line of attendees attempting to check into their hotel room. With key in hand we set off to find the nearest stairwell. The first thing you really need to do, once you know where your room is, is to secure the nearest stairwell. Using elevators at an anime convention doesn't work. Between attendees riding the elevator up to go down (or vise versa) and large costumes, the wait for an elevator can be thirty minutes easy. Our room was nearby the stairwell and we were only up a few floors, so things really worked out for us. We dropped everything off and headed out onto the con floor. 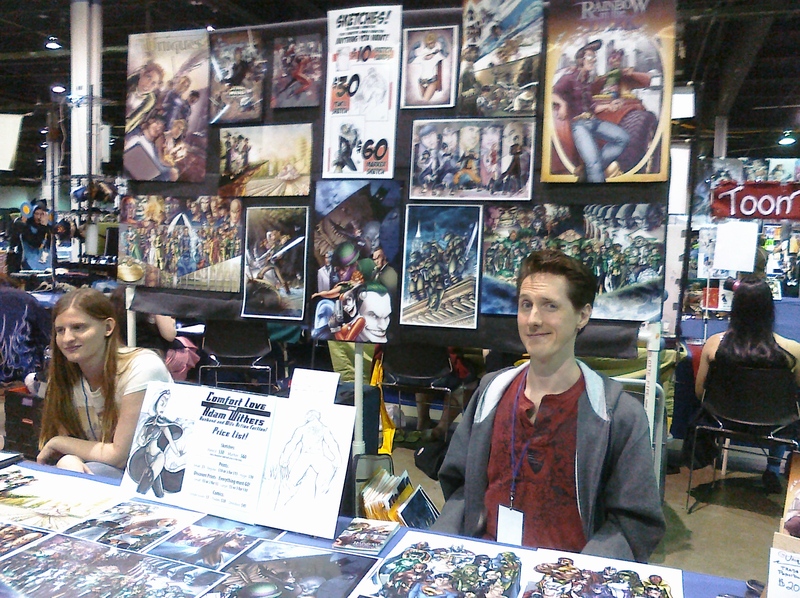 Adam and Comfort have a booth there, so we navigated over to Artists Alley to say hi! We also discovered that the panel they were hosting, Creating Your Comic/Manga from Concept to Publication, was in an hour so we hung out a bit then headed over to watch their panel. The panel was awesome and educational for me. While I'm not a comic or manga creator, I certainly learned about page layouts and other things I completely take for granted when reading comics. We spent the rest of the day bouncing around from this place to that, then had a delicious Thai meal with Adam and Comfort. Chris and I got to see the incredibly long line that weaved its way out of the convention center and down the street. It looked to be hours long. I'm really, really happy I paid an extra $2 to have my badge mailed to me. 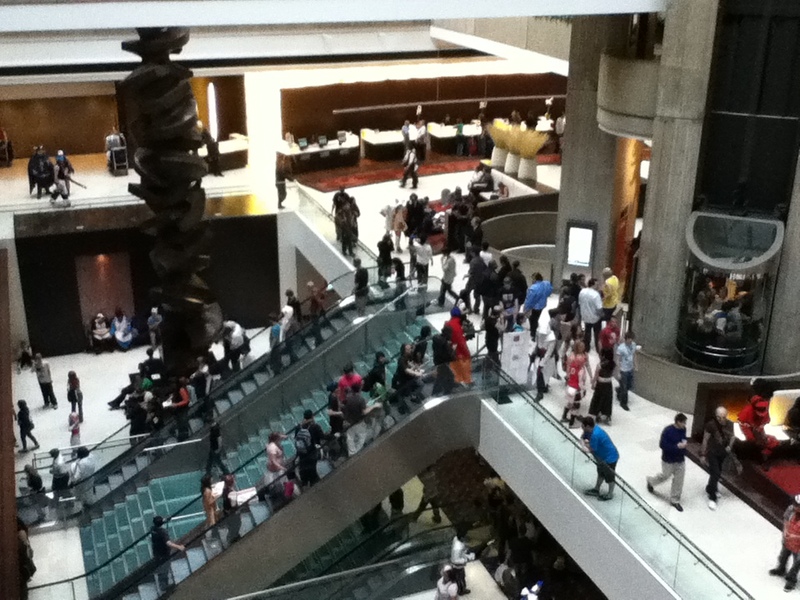 One thing anime cons seem to have are insanely long lines. I dont know if it's volume, disorganization, or a combination thereof.